Did you know that Ben and Jerry’s Ice Cream Company was supposed to be a Bagel Company? 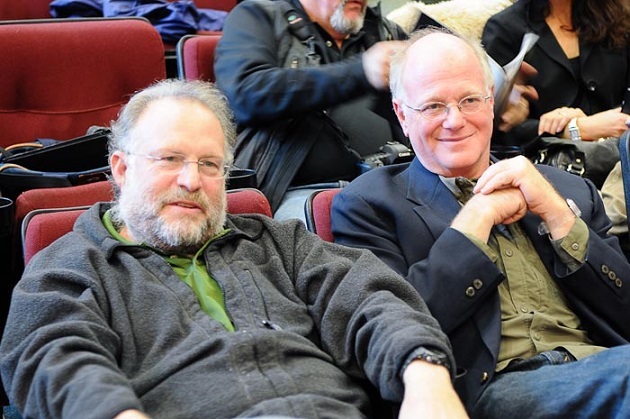 Childhood friends Ben Cohen and Jerry Greenfield were born in Brooklyn NY, in 1951, four days apart. Ben, during his senior year, drove an ice cream truck. He attended various colleges in the Northeast but dropped out. Eventually, he left college life and taught pottery in New York’s Adirondack region where he also learned about ice cream making. On the other hand, Jerry went to Oberlin College and took up medicine. While Jerry was in college, he worked as an ice cream scooper in the school cafeteria. He then returned to New York as a lab technician and shared an apartment with Ben. Without success in applying to medical schools, he went to North Carolina. After a few years, he and Ben met in Saratoga Springs, New York and decided to put up a business. They first thought about a bagel business but decided against it since the equipment needed was expensive. They settled for ice cream instead. They decided to have their business in Burlington, Vermont since it was a college town that had no ice cream parlors. They enrolled in a $5 course in ice cream making and then opened the first Ben and Jerry’s in 1978 in an erstwhile gas station in Burlington. Their business grew significantly and opened non-Vermont franchises. One reason for their quick-rising popularity was their unique flavors and flavor combinations. These flavors were invented by Jerry, usually without test marketing. If this was a nice story for you, please, use our social buttons to spread some sharing love. Thanks! If you would like some more cool stories, don’t miss checking out some of the highest rated ones on the site. Other people think they are just cool.